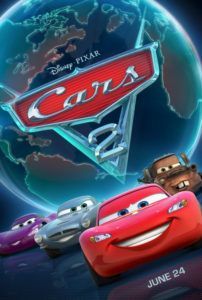 Much like its predecessor, Pixar’s Cars 2 is not a failure-of-a-movie, as some critics and viewers seem to suggest. 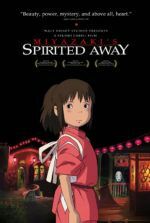 It may not live up to the usual sophistication associated with the animation studio, but this does not mean it’s a bad film. The production, led by John Lasseter and his co-director Brad Lewis, reinvents itself from another sentimental racing drama into an all-out spy movie, complete with undercover agents, high-tech weaponry, and exotic locales. Think Frankenheimer’s Grand Prix mixed with a hearty dose of James Bond. Rousing action scenes, plenty of accessible humor, and gorgeous animation take the place of emotional relevance; the filmmakers really let loose and have fun here. As a result, Pixar devotees may feel disappointed by the arguably one-dimensional storytelling, while those versed in Dreamworks fare will feel right at home. This time around, racecar Lightning McQueen (voice of Owen Wilson) takes a back seat to Mater the tow truck (voice of Larry the Cable Guy) and two brand new characters, suave secret agent Finn McMissile (Michael Caine) and his techie sidekick Holley Shiftwell (Emily Mortimer). McQueen still plays a significant role, but Mater is the star, which, depending on your tolerance of Larry the Cable Guy, might be a good or bad thing. Mater’s presence in small doses worked for Cars, yet here becomes grating after the third or fourth “Now that’s funny right there” comment. Luckily, there’s enough variety and forward momentum to avoid dwelling on Mater’s sometimes annoying personality. Then again, there’s a whole population of Blue Collar Comedy fans that can’t wait to see the next adventure of their rusty, buck-toothed hero, so perhaps it’s a cultural thing. The story takes place shortly after Cars, with McQueen a national racing star living in Radiator Springs. When convinced to compete in the World Grand Prix spanning three locales (Tokyo, Italy’s Riviera, and London), McQueen reluctantly agrees to bring the socially awkward Mater along, who proceeds to embarrass McQueen and himself. McMissile and Shiftwell mistake Mater for a spy, and involve him in a plot to thwart international crooks from sabotaging the races. McQueen remains oblivious to Mater’s involvement, but then so does Mater, who tries to explain to the Brit spies that he’s just a tow truck. They remain convinced it’s just an excellent disguise. All sorts of wild spy-oriented misunderstandings occur, with Mater hilariously stumbling his way through the fray and McMissile there to clean up the mess. Meanwhile, McQueen stays focused on beating his top competitor in the races, F1 racer Francesco Bernoulli (John Tuturro), whose incredible arrogance makes for a charming Italian stereotype. 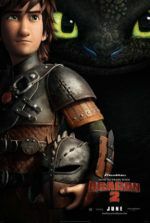 More than adults, children will have a blast with this film. Lasseter once more embraces his love for automobiles and combines that with his escapist love of toys. It’s not hard to imagine a ten-year-old dreaming up this wild scenario on the living room floor with his Hot Wheels on a race track playset, and that’s meant with the utmost respect to the filmmakers. This film was a lot of fun. But it may not carry the same weight with adults given obvious speeches about friendship and loyalty. Still, scripter Ben Queen incorporates a (somewhat underdeveloped) commentary on the need to find a renewable energy to replace fossil fuels. Just like in the real world, these cars run on gasoline, and just like here they’re running out. Eddie Izzard voices Sir Miles Axelrod, a billionaire who invents a clean solution to oil, called Allinol, and whose plans to render oil obsolete are plagued by an evil faction of “lemon” cars (Gremlins, Hugos, etc.) headed by a faceless Dr. No-esque villain. Queen’s script never soapboxes about the issue in any satisfying way, as Wall•E did with its environmentalist message, prompting one to question why, on this film, Pixar allowed only one screenwriter credit. Usually, Pixar writer credits are many and the result paradoxically polished. With Cars 2, the opposite is true. As with most animated films nowadays, Pixar made the choice to release their film in 3-D, although my screening popped enough in 2-D. Like always, the studio’s animation never falters, bringing some incredibly photorealistic backdrops in the varied locations employed by the story. Tokyo’s busy, neon-frenzied cityscapes and bursting Japanese culture are beautifully and hilariously characterized, while the Parisian streets are simply beautiful. There are even moments that require a strong look to determine if indeed this is animation or not—it’s just that real. Action scenes proceed with clear, defined editing and a steady frame; the action is certainly more intelligible than the last James Bond feature, the shaky-cam victim Quantum of Solace. Characters seem to have substance on the screen thanks to the strong-as-usual voice casting, the most obvious standout being Caine’s sharp super-spy, as well as a cameo by Bruce Campbell as a smart-mouthed American spy. Moviegoers expect a little more from Pixar, and so, while exciting and very often hilarious, I’m left questioning the logic of this world once more. When I watched Cars back in 2006, I wondered who built these automobiles and where are they now. Would the cars pull back the curtain someday to discover humans? I questioned if and when one of the cars would stop, park, and the driver would step out. Now, with the sequel, I was forced to wonder if perhaps this world isn’t spawned from the mechanical equivalent to circumstances in The Planet of the Apes (1968). Perhaps, long ago, some human in this world built a smart car, and that smart car led a rebellion in which the automobiles took over. Perhaps, in the inevitable Cars 3, Lasseter and company will deliver an origin story on par with A.I. Artificial Intelligence. Or, perhaps, I’m just overthinking it. Anyway, if the toys and advertising tie-ins from this film approach anywhere near to how much the original earned for the studio, then Pixar will be set for the next few years. 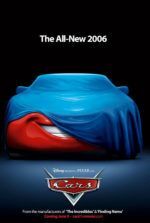 Cars remains the studio’s most profitable in terms of merchandising, so a sequel means security (resulting in at least one shameless in-film State Farm ad). Arguably driven by that sense of security, Cars 2 offers a budgetary buffer in preparation for their risky, more artistic ventures ahead: In March of 2012, the young adult-targeted science-fiction epic John Carter blends live-action with animated characters; and later in June 2012, the adventure Brave voyages into Medieval Scotland for a tale of fantasy heroism. These will no doubt be good earners, but hardly anywhere in comparison to a Toy Story or Cars sequel. Even if inspired by preparative business tact, the film proves to be as entertaining as its predecessor, albeit on the bottom rung of Pixar’s output.